The Good Neighbor Initiative encourages university students, living in neighborhoods that surround the downtown, to meet their neighbors and work together to make neighborhoods a place of pride and safety. Students and year-round residents are given information concerning area services, garbage collection and recycling, local ordinances, alcohol laws and safety information during a neighborhood walk-around. On Tuesday, September 13 the Good Neighbor Initiative will host a Block Party with up to 500 downtown residents at the Hargraves Community Center at 216 N. Roberson Street. The event involves a Community Pride walk around the neighborhood followed by a block party with food, music, and games - free and open to all downtown residents. 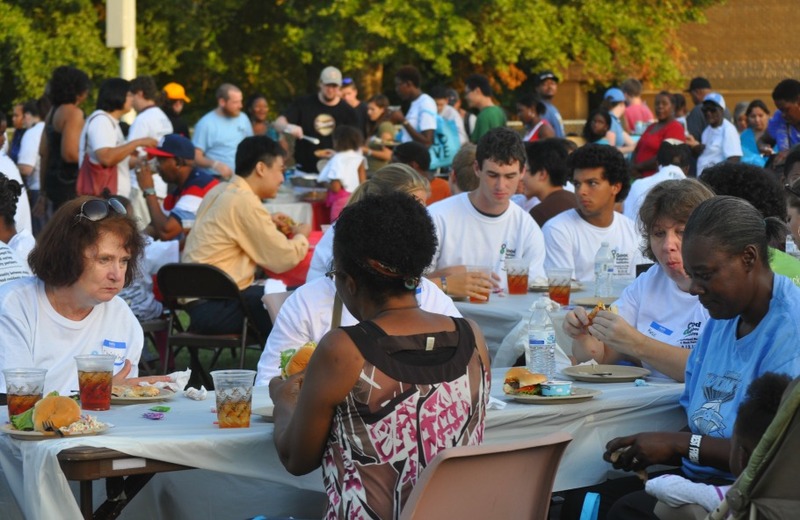 The Chapel Hill Downtown Partnership sponsors the Good Neighbor Initiative along with the Chapel Hill Police Department, the Jackson Center, UNC Office of Student Affairs, UNC Local Relations Office, Town of Chapel Hill, UNC Student Government Association & Carolina Union Activities Board, and Empowerment Inc.
Make a monetary contribution to sponsor the Block Party. Contribute a gift certificate or an item for the raffle. Exposure to 500 downtown residents, many of whom will be new residents and potential future patrons.